A smart look is driven by smart design. 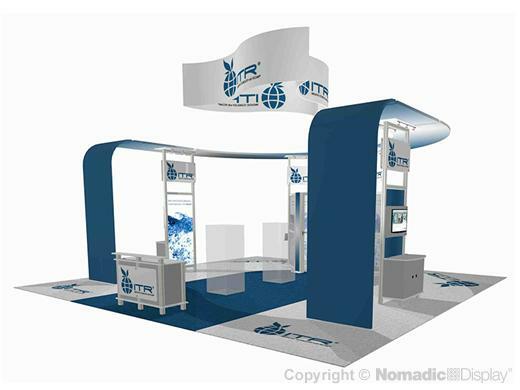 Nomadic has a whole new generation of Show Smart breathtaking custom modular trade show displays that are helping you drive more sales opportunities than ever before. We develop creative display solutions designed to build your brand, drive interaction with your target audience and support your overall business initiatives. Our industry leading custom modular trade show booths feature the most functional accessories including: radiant back lighting, high impact graphics, dimensional overhead messaging, private meeting areas and dynamic A/V workstations. 5 - RollMax Case - 60.50" x 34" x 56"